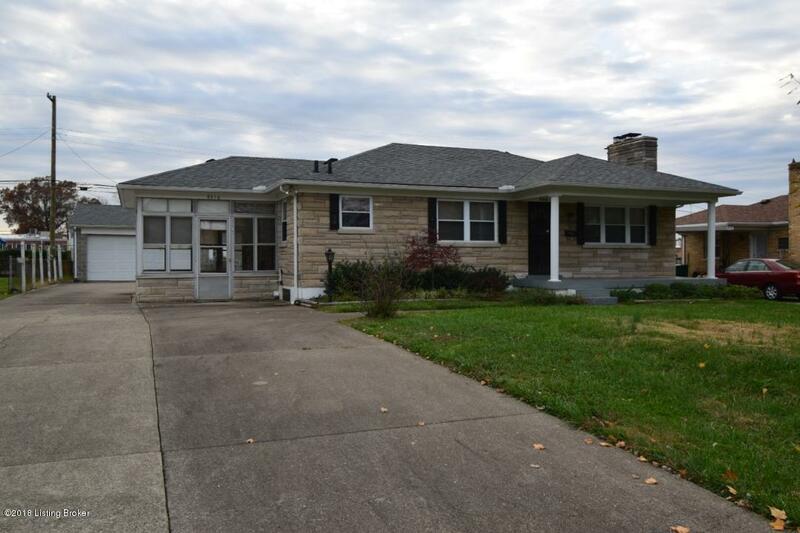 Beautifully maintained Bedford Stone Ranch in perfect location. 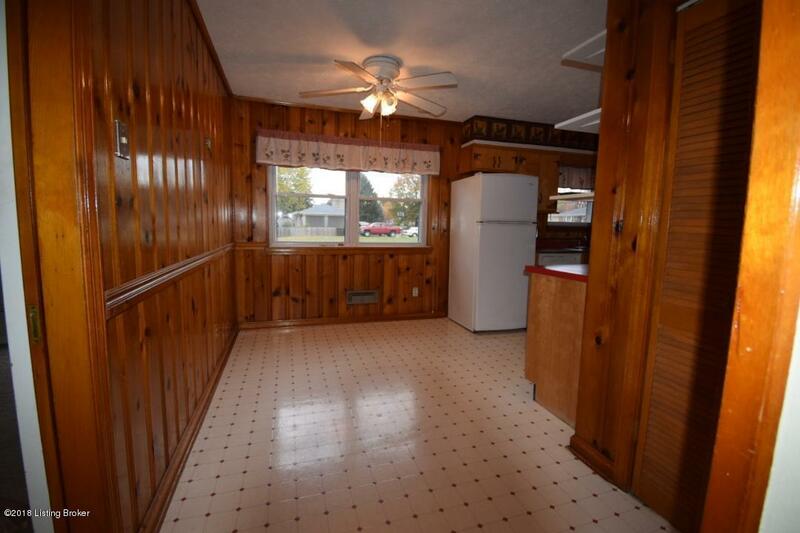 2BD 2 full bath w/full finished basement. 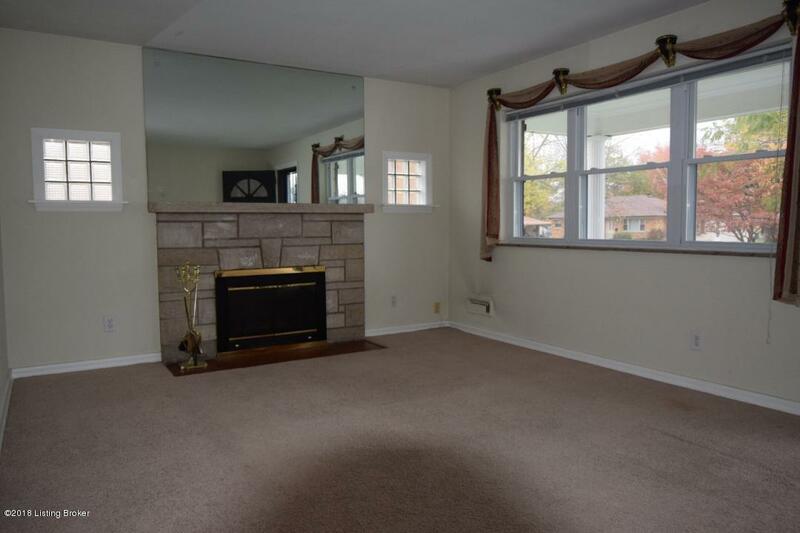 Large living room w/stone FP flanked by glass block windows, large Kitchen w/original knotty pine walls and eat-n dining area. 1st floor Bath w/original vintage tile. Large covered front porch. 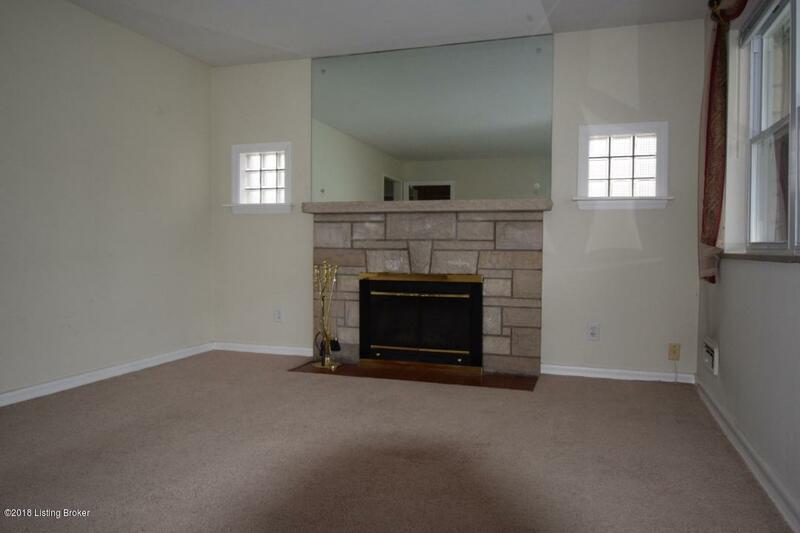 Large Florida Room perfect for kids play area. HW floors under carpet. Finished basement w/large Family Room, add'l room w/ closet perfect for office or media room, full Bath & large Laundry Room w/utility sink. Amazing 2.5 car detached garage w/large attached work shop area perfect for mechanics or wood working, massive overhead storage, heat & water & large covered patio. Back yard completely fenced. Conv to Preston Hwy, Outer Loop, I65 & I265, shopping, dining & schools. Move in ready! !